1000M network interface uses full duplex mode. 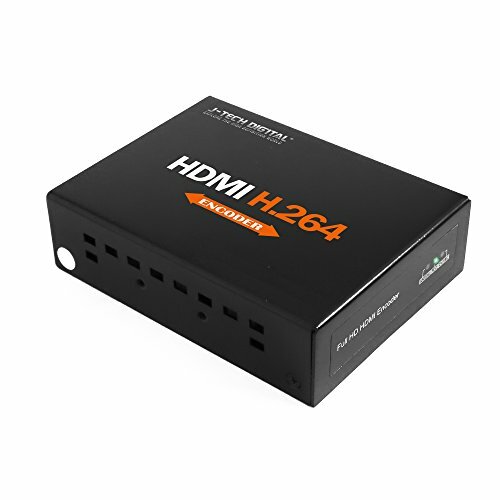 INNOVATIVE PRODUCT with LEADING TECHNOLOGY:This HDMI H.264 IPTV Encoder for live Broadcast Audio and Video Encoding for live Streaming for TV ,Youtube Live, Facebook.And Ustream, Livestream, Twitch, Meridix, Streamspot, Dacast, Tikilive, Netrmedi. If you have any questions about this product by J-Tech Digital, contact us by completing and submitting the form below. If you are looking for a specif part number, please include it with your message.